One of the greatest things about working for Achieve TMS is being able to take time away from our busy work lives to give back to the community. 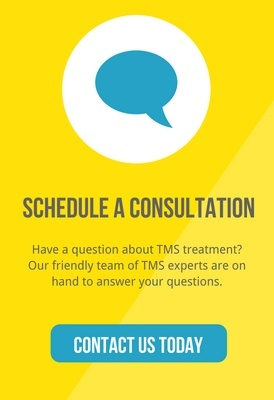 In addition to Achieve TMS’s tireless efforts to advocate for mental health wellness, Achieve TMS also strives to promote assisting those in need. I recently had the opportunity to volunteer in an after school program at a homeless shelter in San Diego. In this day and age, children are easily exposed to violence, substance abuse, and poor life choices due to the omnipresent nature of social media and lack of publicly funded programs. As a result, today’s youth are susceptible to falling victim to these hindrances. However, after school programs for the homeless serve as a safe and enriching space for children to grow and thrive. During my time at this program, I gained a sense of pride knowing that I was able to put a smile on the kids’ faces while I read them their favorite Marvel comics. The hero of choice was Thor and I had a wonderful time immersing myself in Thor’s heroic adventures and his fantastical homeland, Asgard. The children were happy and captivated, eager for more stories about the God of Thunder and his mighty hammer. After story time, we went over math equations, labeled the fifty states on the map for geography, and discussed Thomas Jefferson’s Louisiana Purchase for American history. Once homework was completed, we transitioned to craft time. The kids and I created hand puppets with felt, pompoms, and googly eyes. Their level of creativity and joy was infectious. Being at the homeless shelter for this after school program represented such a stark contrast to the dark network of gang violence and misfortune that children in disadvantaged communities are often unwillingly living in. Looking back, I’ve come to realize how something as simple as volunteering for a few hours a week can make a difference in someone’s life; similar in some ways to how brief daily TMS treatments improve patients’ struggles with depression. More often than not, freely giving a portion of your time, kindness, and help is all that’s needed to help foster and promote a safer and better environment. My experience at the homeless shelter has shown me that wellness goes beyond mental health. Wellness is an active process of awareness in which we must make positive choices to lead to a healthy and fulfilling life. Sometimes, all a person needs is a helping hand in the right direction.